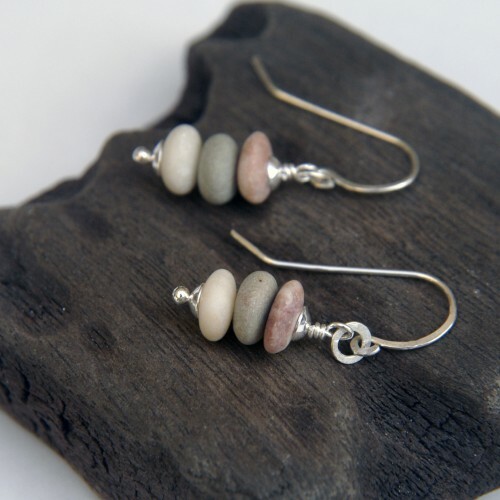 Teeny Tiny Pebble Stack earrings with silver. Super-cute beachy fun! Measure approximately 3.5cm. All fittings etc are sterling silver. Each pair is slightly different, depending on shape and colour of the pebbles. If you're keen on a particular colour palette please contact me. These can also be combined with sea glass beads.